Record your action sports from the best seat in the house! The SVS 3rd-Person-View Camera Mount is a camera-mounting system that offers the flexibility to mount the camera from your back or side. 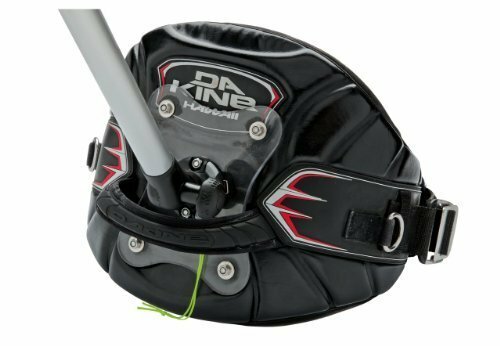 The double curve in the backplate makes this mount very comfortable to wear, even when kiting and windsurfing. The durable construction allows you to use the 3rd-Person-View Mount on land, in saltwater, in freshwater and even in extreme cold and hot temperatures. Available in black and clear silver. The 3rd-Person-View Camera Mount consists of two parts - a flat, clear technical polyester sheet plate that mounts to your kite/windsurfing waist harness and a fully adjustable camera pole with clear silver anodized finish. The camera pole uses a 40-degree angle to capture the footage from a great perspective while remaining secured to the harness. This system gained notoriety as a successful 2013 Kickstarter campaign. Today this product is avialable through KillerShot. The SVS 3rd-Person-View is ideal for kite and windsurfers, but is also a popular mounting option for snowboarders, surfers, mountain bikers, motorcyclists, extreme fishers and hunters, and much, much more. If you have any questions about this product by Sail Video, contact us by completing and submitting the form below. If you are looking for a specif part number, please include it with your message.